Roland Kelts is the author of the acclaimed and best-selling Japanamerica: How Japanese Pop Culture has Invaded the US. He is currently a Visiting Scholar at Keio University in Japan and a columnist for The Japan Times. He has interviewed Hayao Miyazaki, Haruki Murakami, Ryu Murakami, Yoko Ono and Yoshiyuki Tomino, and his writing on Japanese culture is published in The New Yorker, Time Magazine, The Wall Street Journal, Vogue, Bookforum and Animation Magazine, among many others. He has taught at many universities in the US and Japan, including New York University, The University of Tokyo and Sophia University. He is also a contributing editor to Monkey Business International, the English edition of the Japanese literary magazine, and a consultant on Japanese digital media for Gamma Law. 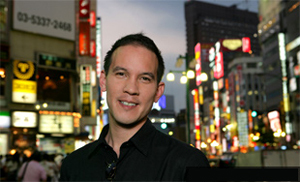 Kelts is a frequent television and radio commentator on Japanese culture for American television networks, NPR and the BBC. He divides his time between New York and Tokyo.